Come fall in love with your new home! 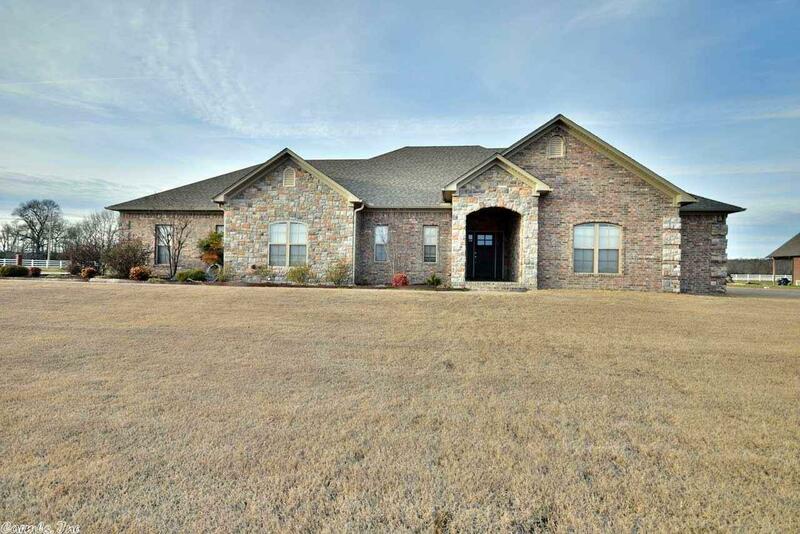 Inside this beautiful estate, you will find an open floor plan with a large kitchen, all stainless steel appliances, 9' and 10' ceilings with beautiful crown molding. This home features a large master bedroom with a double vanity bathroom and spacious walk-in closet. Walk out onto the patio to a beautiful scenic view. Has a 21'X21' Separate 2 car garage/workshop with lots of storage, along with a large tornado shelter. Schedule your private showing today!